Alex Cline Ensemble - "Montsalvat" $15.00 "chamber music which lies somewhere between modern classical and new jazz, the rigour of composition and the fluency of improvisation, with added 'ethnic' elements...It's terribly beautiful." Cline, Gauthier, Stinson - "Right of Violet"$15.00 "an album which manages to subsume an astonishing variety of detail into an overall sound which remains utterly unique and consistent...an outstandingly beautiful journey...:"
"Their written material gives them a substantial and interesting base for ensemble and solo development. Most of the material originates with group members, and it rates highly against virtually any criteria you want to apply - melodic and harmonic content, rhythmic diversity and flow, maturity of form and conception, use of dynamics, and space for interplay and individuality. For all the right reasons, this music should stimulate a multi-faceted crossover audience." "This band injects the finer elements of fusion with traditional jazz etiquette and methodologies along with a sharp, rugged edge! Overall, the musicians impress with a strong and thoroughly unified sense of direction intermingled with noteworthy compositions and sterling ensemble work. 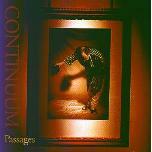 If you found yourself getting a bit bored with the existing contempo-fusion scene, then you might want to give Passages an audition as this band elevates applied concepts to lofty heights while providing a few thrills along the way." "Impeccable bass, soaring guitar, lush synth tones, ethnic percussion, and tasty drumming can all be found on Al Garcia's solo release Make It So. Al Garcia is a master bassist, and this is the best CD I have heard in quite a while... Ladies and Gentlemen, I am stunned. 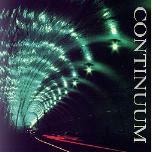 I cannot say enough good things about this CD. Buy it. Now!"" 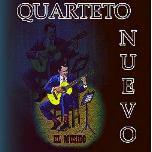 Quarteto Nuevo - "El Musico"$13.98 "Quarteto Nuevo combine the rhythmic traditions and sophistication of the Near, Middle and Far East with the harmonic richness of the West, with lyrical melodies from both to make a truly unique music ..... Fluid with diverse forms and substance from various traditions - not bound by any......"